While I was away a few weeks ago a parcel arrived for me from Lidl Ireland filled with items from their new “Too Cute” range which came into stores today. Over the past fortnight the boys and I have put all the items inside to the test and here’s the verdict of Spiderman Comes To Town. A lovely soft cotton t-shirt. We have bought cotton t-shirts from Lidl before and probably will again. It washes well, the print detail doesn’t fade or deteriorate. 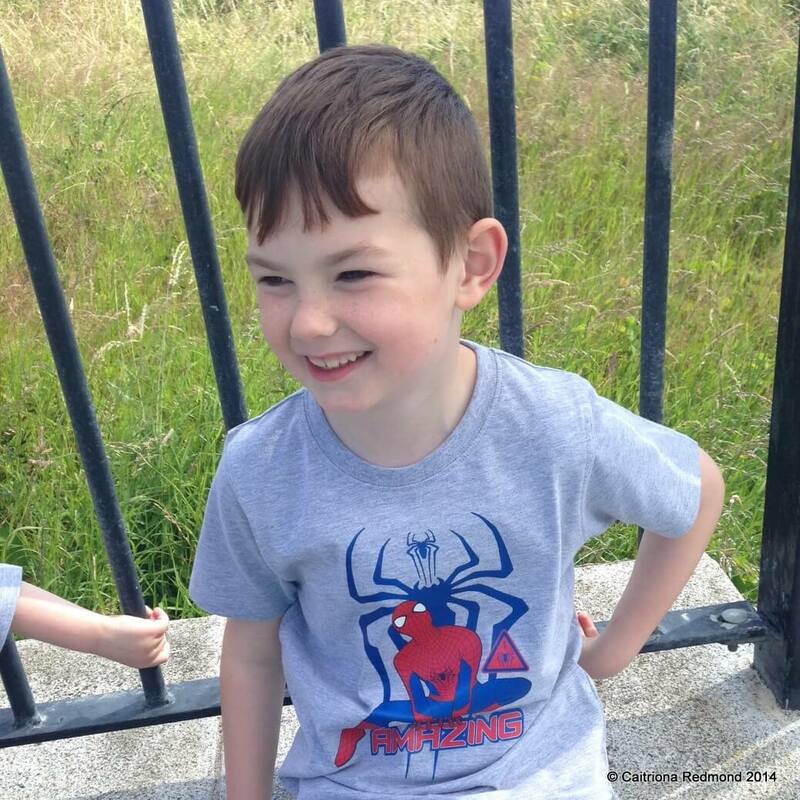 The boys love this t-shirt and had a ball climbing on walls and pretending to be Spiderman. It’s far too hot around here for even short pyjamas in the Summer. I cheated a bit and at the boys’ request they wear these pyjamas as normal “day wear”. Again they’re a lovely soft cotton, the sizing works well for both boys and they are great for the Summer. I’ve washed them 3 times in the past fortnight and they’ve stood up well to wear and tear from 2 active small boys, along with laundry. In principle I love the idea of trainer socks. They are light and cool in the hot weather and all the family love padding around in them. However, I hate how they roll up so small and I’m forever losing socks like this in the washing machine because I forget to put my socks in a net bag. Great quality socks, they’re lasting well so far, providing I find the matching pairs! For a character bed linen set this is quite good value. The end of the duvet cover closes using buttons. I’m well used to this so it’s fine by me, although I know that poppers can be easier to open/close and wash better – leading to bed linen sets lasting for longer. It is odd to have a pillow case that closed along the long end, with buttons. Which means that when you put the pillow on the bed, it has to sit upside-down so that you’re not lying directly on a row of buttons. Disclosure: I received the items above from Lidl Ireland for the purposes of this review. My opinions are my own and I am not paid to give them.